China’s largest, self-developed unmanned aerial vehicle (UAV), the Caihong-5, has successfully completed its first flight Chinese media report. The model is now ready for mass production. The medium-altitude long-endurance drone has a wingspan of 21 meters and can carry a payload of up to one ton, China Global Television Network (CGTN) reports, citing a senior official from the China Aerospace Science and Technology Corporation (CASC) which produced the UAV. Caihong-5 (Rainbow-5), the largest in the Rainbow series, has a maximum operating range of up to 10,000 kilometers and can remain in the air for 60 hours. The drone undertook its first flight at an airport in China’s Hebei Province Friday. 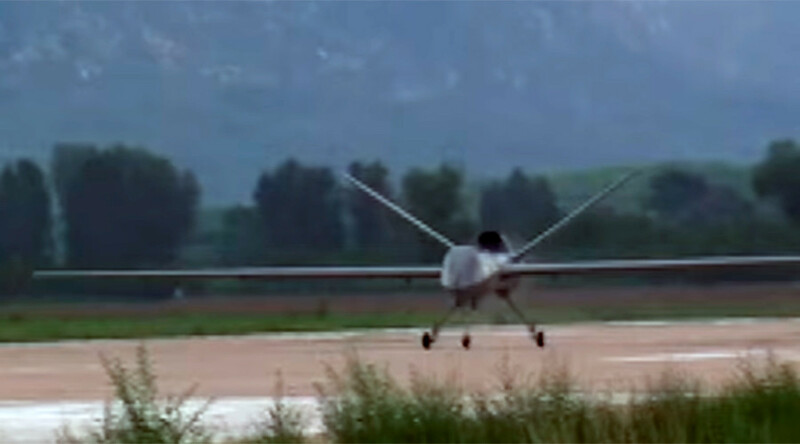 The UAV can conduct reconnaissance, surveillance, patrol, target positioning and strike missions. It can also be used for civilian purposes such as resource surveying, disaster survey or emergency responses. The drone was first presented at an international airshow in the southern Chinese city of Zhuhai in 2016. “We’ve made several modifications after its debut, and its comprehensive functions are among the world’s best,” Shi Wen, the project’s chief engineer at the China Academy of Aerospace Aerodynamics, told state-run Xinhua news agency. “We will conduct more trial flights and might add fine changes to meet needs of various customers. We believe it will be a success in domestic and international markets,” he added.